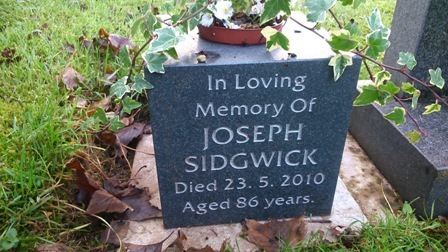 In Loving Memory of Joseph Sidgwick. Died 23.5.2010. Aged 86 years.